The pedestrian suffered multiple trauma injuries and was pronounced deceased at a local hospital, officials report. NCPD are investigating a fatal auto accident that occurred on Wednesday, January 3, in Island Park. Island Park, NY - January 4, 2017 - Homicide Squad Detectives are investigating a fatal auto accident involving a pedestrian that occurred on Wednesday, January 3, 2018 at 4:15 pm in Island Park. According to detectives, while attempting to cross Long Beach Road from the west side to the east side, in the vicinity of Waterford Road, a female pedestrian, 91, was struck by a 1997 Ford Aerostar van traveling southbound on Long Beach Road. As a result of the collision, the pedestrian suffered multiple trauma injuries, was transported to an area hospital and was later pronounced deceased by a staff physician. The female operator of the Ford, 76, was not injured. The Ford was impounded for a brake and safety check. The investigation is ongoing, and the name of the victim is being withheld at this time. 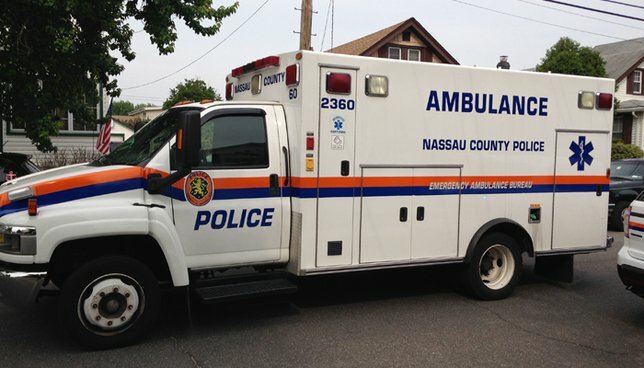 Subject: LongIsland.com - Your Name sent you Article details of "NCPD: 91 Year-Old Pedestrian Struck and Killed While Crossing Street in Island Park"